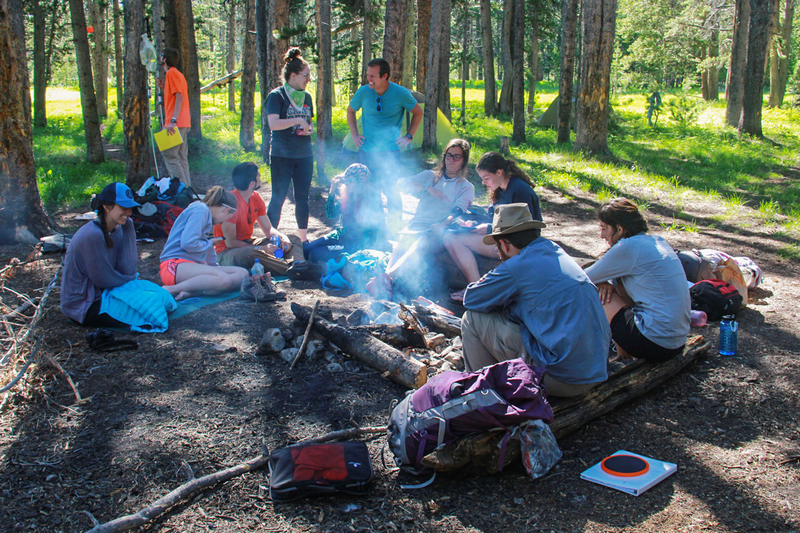 U. of I. students did some experiential learning in the Yellowstone and Grand Teton parks this June in a course on the politics and other issues surrounding national parks. Here the class relaxes before a campfire dinner and discussion. 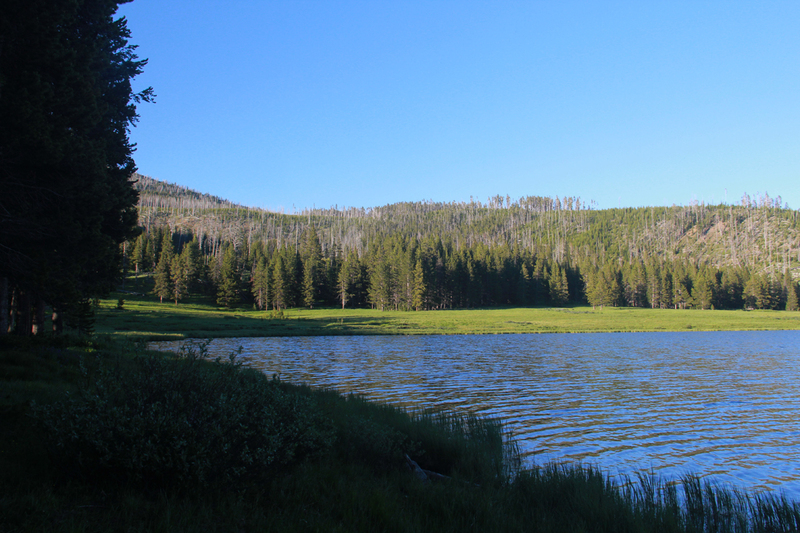 We spent last night in Yellowstone’s backcountry, at Grebe Lake, a lovely lake at the base of the Washburn Range, about a 3-mile hike from the road. It’s part of the “chain of lakes” region that is popular with fly fishers. For most of the students, this was their first experience backpacking: carrying a tent, sleeping bag and food into the backcountry. They had to learn a few new skills, like how to hang food from a bear pole. Some also had to adjust emotionally to the idea of sleeping in the middle of grizzly country. 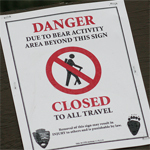 A common sign around Yellowstone when a bear has been active. Because only eight can share a camp site, we had to split into two camps almost a mile apart, but came together for dinner and discussion around a campfire. We “cooked” our freeze-dried dinners in filtered water from the lake. We also rehydrated some desserts like berry cobbler and key lime pie. We don’t recommend the bananas Foster. On the drive to the trailhead, we had stopped at some wildfire sites to talk about fire management policy in Yellowstone, and the hike to Grebe Lake went through a forest burned in 1988 fires. We talked more around the campfire about how the forest had recovered and why the park wants to let wildfires burn naturally. A view of Grebe Lake from near one of the camp sites. We also asked the students to experience the lightscape and soundscape here – the dark sky and the natural sounds of the woods at night. The National Park Service has been focusing on lightscapes in recent years, and trying to reduce the light from its own buildings and people. 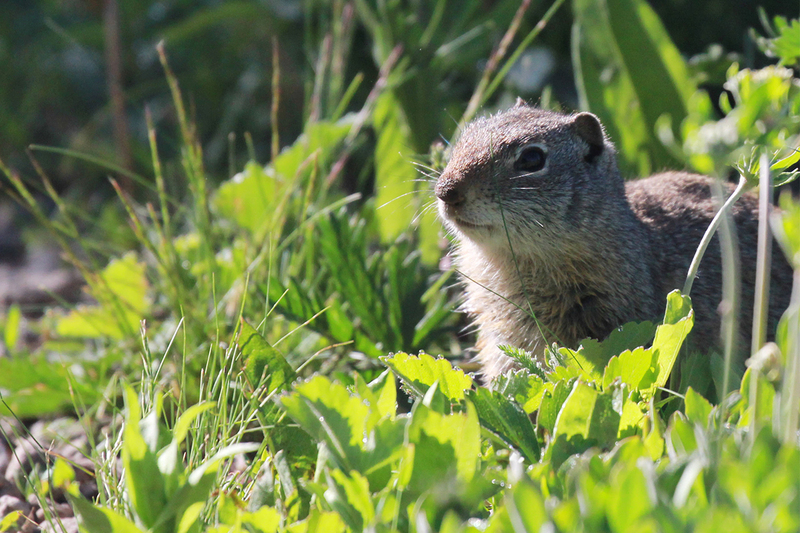 The NPS is also studying the man-made sounds in the backcountry and their effects on wildlife. We didn’t see or hear much sign of “civilization” at Grebe Lake. 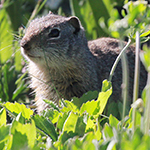 Sighting of a Uinta ground squirrel, common in the park. In worksheets, students explored how it felt to be isolated in this way. One wrote that this was the first time that she had seen a dark night sky. At home in the Chicago suburbs, she is surrounded by lights, mostly from businesses. This was the first time she has been in a place where no one is trying to sell her something. Though we had some tired legs back at the van this morning, everyone seemed glad to have experienced backpacking at least once. Yellowstone has about a thousand miles of trails and about 200 backcountry campsites. 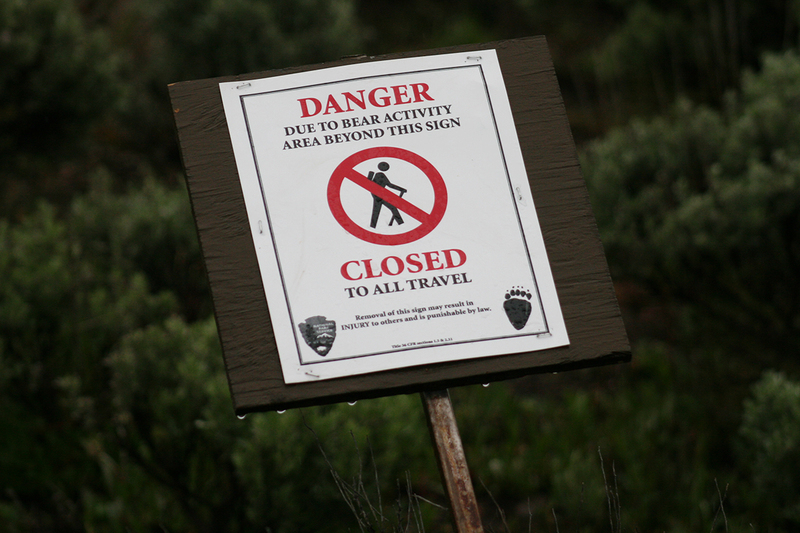 Despite all the options, only about a third of 1 percent of all visitors to the park spend a night in the backcountry. Some of the students plan to come back in the future and join that small minority.